The third novel from bestselling Waterstones Children's Book Prize shortlisted author Sarah Moore Fitzgerald, following BACK TO BLACKBRICK and THE APPLE TART OF HOPE. 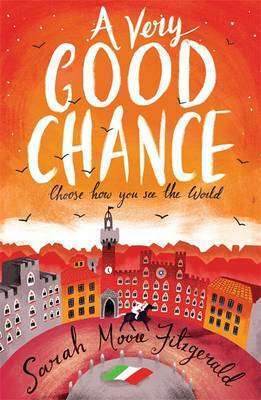 Set in Dublin and Siena, with its dizzying, dare-devil Palio horse race, this is a story about taking chances, being brave and learning the best way to see the world. Some people step through a wardrobe to find adventure, but Minty follows the twisty-turny trees into Nettlebog. There she finds Ned Buckley - the moody, mysterious boy who never talks at school. As Minty's world disintegrates around her she searches for refuge in Nettlebog, and she discovers more about Ned: he's able to ride wild horses. And he knows things about the human race that will save her. Or there's a very good chance at least.